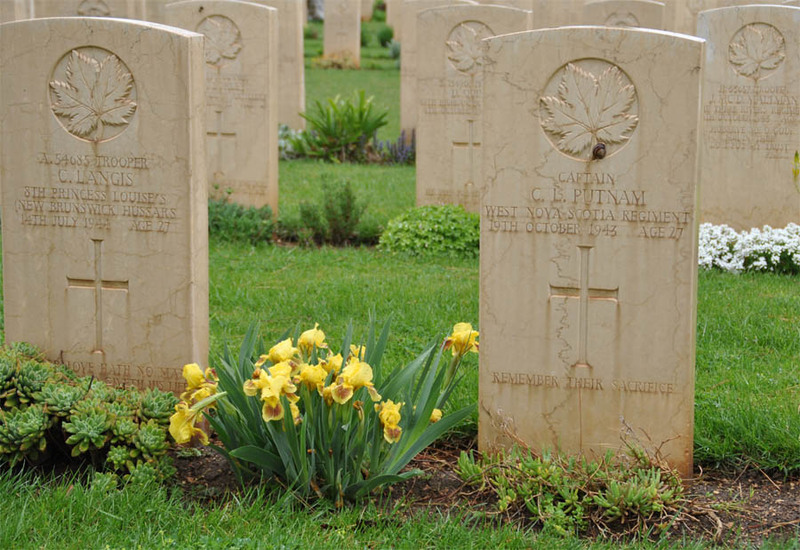 The Bari War Cemetery is located on the outskirts of Bari - in the locality of Carbonara. The war cemetery contains 2,128 Commonwealth burials of the Second World War, 170 of them unidentified. 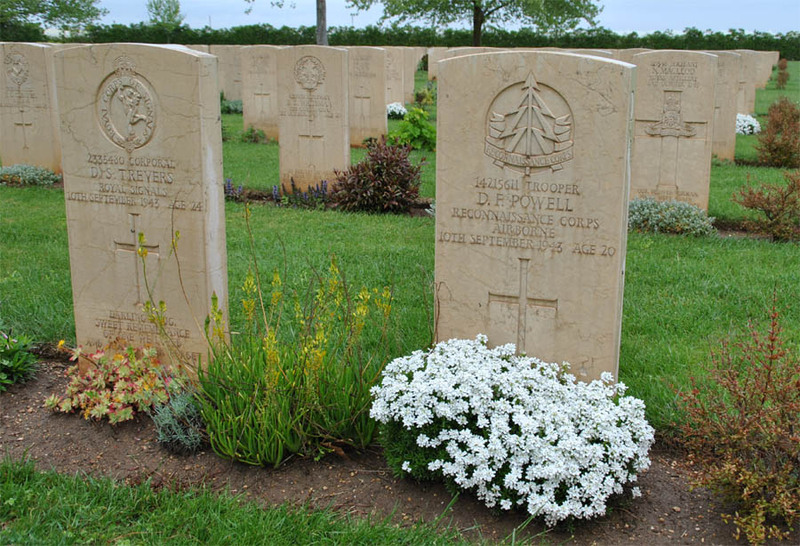 There are also a few non war burials and war graves of other nationalities. 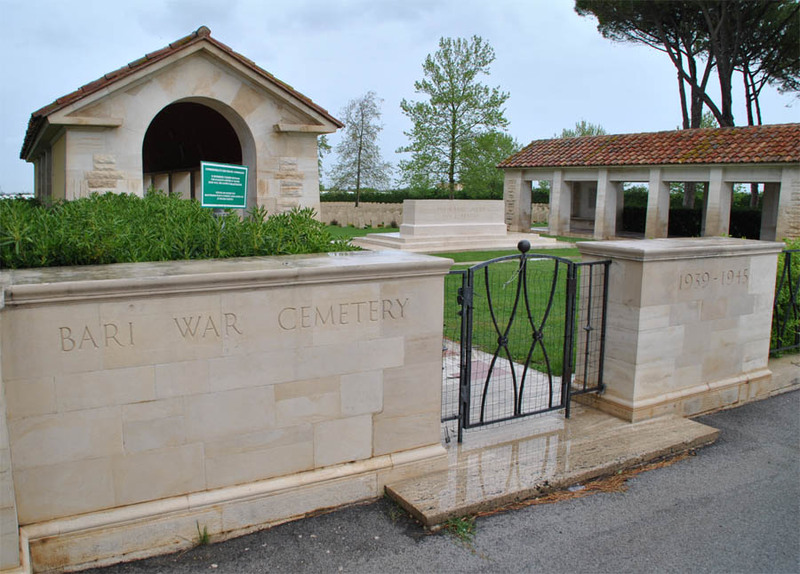 Finally the cemetery contains 85 First World War burials, brought in from Brindisi Communal Cemetery in 1981. The World War II grave of Captain C. L. Putnam (died on the 19th of October 1943) at the Bari War Cemetery. The World War II grave of Private C. E. Thornicroft (died on the 10th of September 1943) at the Bari War Cemetery. 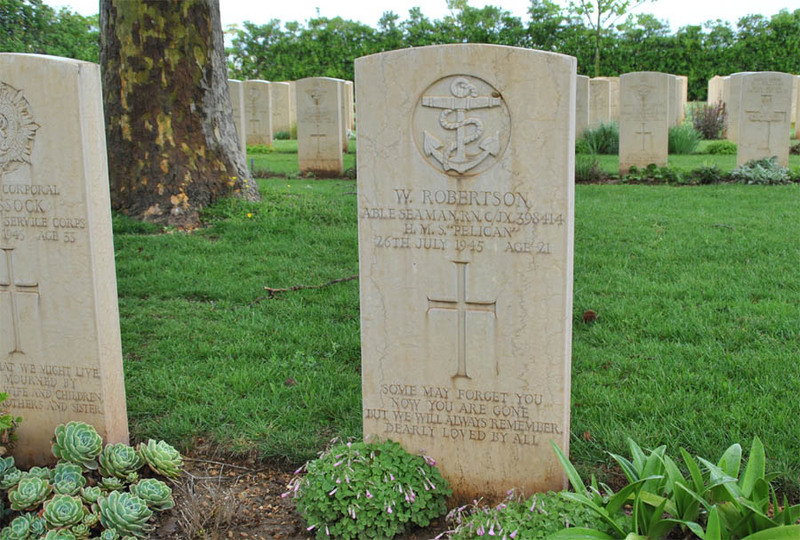 The World War II grave of Able Seaman W. Robertson of the H.M.S. 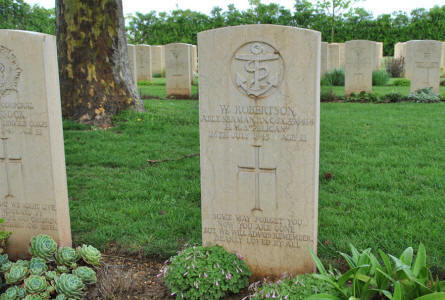 "Pelican" (died on the 26th of July 1945) at the Bari War Cemetery. 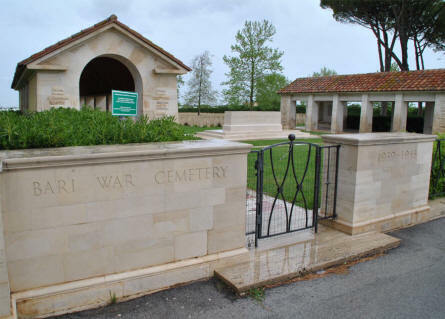 The entrance to the Bari War Cemetery. 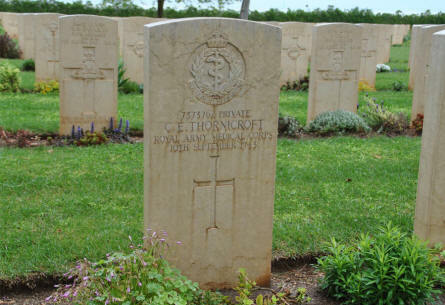 The World War II grave of Flight Officer J. C. Scorer (died on the 31st of March 1945) at the Bari War Cemetery. 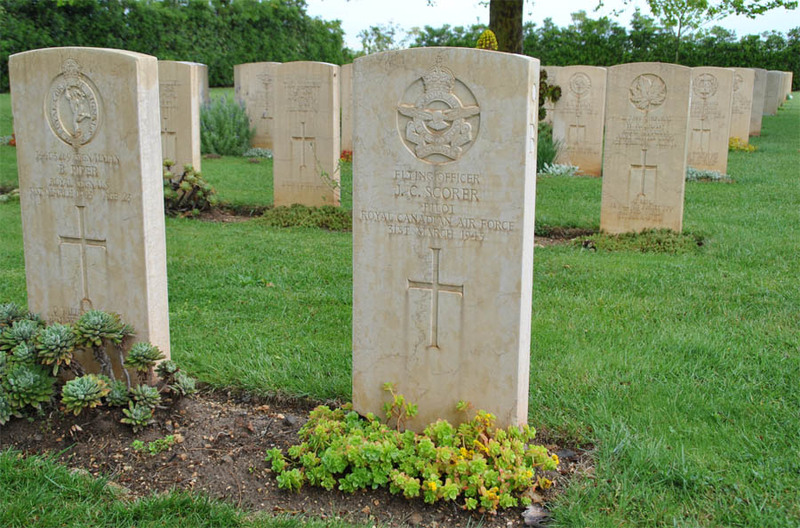 The World War II grave of Trooper D. F. Powell (died on the 10th of September 1943) at the Bari War Cemetery.